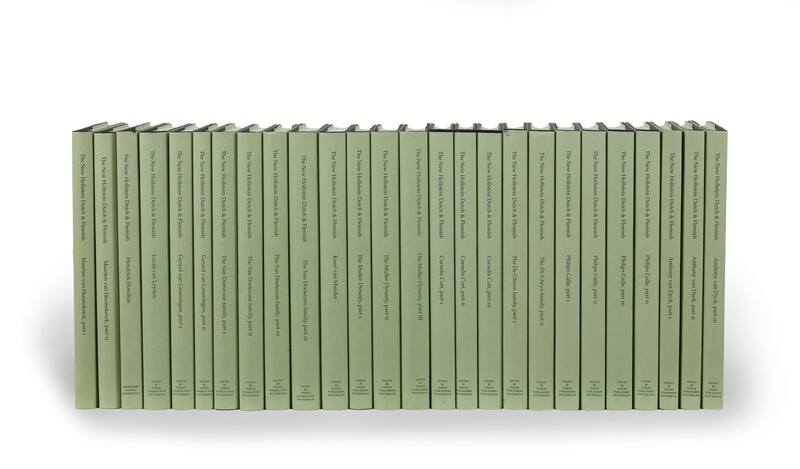 Twenty-six volumes (28 cm), as issued, in publisher’s cloth, printed dust jackets. 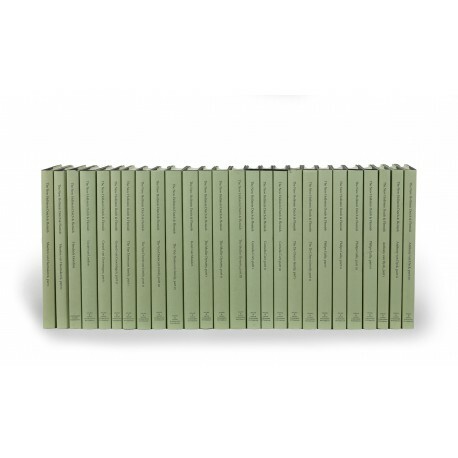 - The first twenty-six volumes of the Hollstein Dutch & Flemish “New Series”, excluding [N.S. 20-21] Reinier Nooms, called Zeeman: Parts 1-2 (2001), also issued as Hollstein’s Dutch & Flemish etchings, engravings & woodcuts 1450-1700, vols. 56-57. At the time of writing (February 2014), sixty-one further volumes have been published (all available from the publisher, price €465 per volume). ¶ Provenance: Maria Conradt (Das Bücherkabinett, Hamburg), sale by Zisska & Kistner, Auktion, Munich, 1997, lot 2324 (vols. N.S. 1-4); the publisher (vols. N.S. 5-19, 22-25). Excellent, unmarked copies. (28 cm), 246 pp., illustrations. Publisher’s cloth, printed dust jacket. - Catalogue of the prints of Maarten van Heemskerck (1498-1574): 586 prints by, eight reproductive prints after his paintings, five attributed prints. Veldman organises Heemskerck’s oeuvre by subject: Old Testament (including series with both Old & New Testament subjects) are presented in this volume. (28 cm), 271 (1) pp., illustrations. Publisher’s cloth, printed dust jacket. 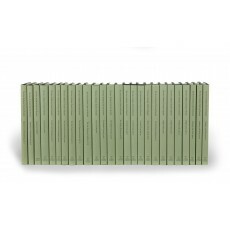 - New Testament, allegories, mythology, history and miscellaneous subjects. (28 cm), 241 (1) pp., illustrations. Publisher’s cloth, printed dust jacket. - Catalogue of the prints of Hendrick Hondius I (1573-1650): 606 prints by, 23 rejected, 10 anonymous prints published by. (28 cm), 314 pp., illustrations. Publisher’s cloth, printed dust jacket. - Catalogue of the prints of Lucas van Leyden (1494-1533): 174 engravings, 30 woodcuts, 122 book illustrations, 15 prints after, 5 prints in the style of; “Catalogue of watermarks in Lucas van Leyden prints” (pp.261-301). (28 cm), 261 (1) pp., illustrations. Publisher’s cloth, printed dust jacket. - Gerard van Groeningen (Gerard P. Groenning, 1556-1581) was a designer of stained-glass windows; the catalogue lists 36 etchings by him, and about 400 prints after, including 203 illustrations for books issued by the Antwerp publisher Christopher Plantin and his successors. About seventy drawings are known and a few are reproduced here. (28 cm), 187 (1) pp., illustrations. Publisher’s cloth, printed dust jacket. (28 cm), cxliv (2), 135 (1) pp., illustrations. Accompanied by a CD-ROM offering a digital version of “The Van Doetecum family, Parts 1-4”. Publisher’s cloth, printed dust jacket. - Catalogue of prints produced – often in collaboration with other family members – by Johannes van Doetechum I (1525-1611), Lucas van Doetechum (1554-1598), Johannes van Doetechum II (1555-1635), Baptista van Doetechum (1578-1611). The catalogue reproduces not only prints, but also some typographic title and text pages. (28 cm), (6) 282 pp., illustrations. Publisher’s cloth, printed dust jacket. (28 cm), (6) 329 (1) pp., illustrations. Publisher’s cloth, printed dust jacket. - Loosely inserted: “The Van Doetecum Family: Provisional text of front and back matter” (36 pp.). (28 cm), cxx (4), 206 pp., illustrations. Publisher’s cloth, printed dust jacket. - Catalogue of prints by Karel van Mander I (1548-1606). 169 entries. (28 cm), xvi, 252 pp., illustrations. Publisher’s cloth, printed dust jacket. - Catalogue of 25 single-sheet woodcuts by (or published by) Jan Ewoutszoon Muller (1530-1569) and 134 prints by (and/or published by) Harman Jansz Muller (1535-1622). (28 cm), 329 (1) pp., illustrations. Publisher’s cloth, printed dust jacket. - Catalogue of prints produced by Jan Harmensz Muller (1571-1628), including seven not recorded by Bartsch (Le Peintre graveur, Vienna 1803-1821). “Catalogue of watermarks in Jan Harmensz. Muller’s prints” (pp.259-320). (28 cm), 339 (1) pp., illustrations. Publisher’s cloth, printed dust jacket. - Catalogue of 169 illustrated books published by the Muller family. “Illustrated books not traced” (p.325). (28 cm), xxxiv, 253 (1) pp., illustrations. Publisher’s cloth, printed dust jacket. - Catalogue of prints produced by Cornelis Cort (1528-1583), arranged by subject (230 by, 5 attributed to, 2 after designs by, 94 rejected). (28 cm), 241 (1) pp., illustrations. Publisher’s cloth, printed dust jacket. (28 cm), 295 (1) pp., illustrations. Publisher’s cloth, printed dust jacket. (28 cm), xlii, 254 pp., illustrations. Publisher’s cloth, printed dust jacket. - Catalogue of prints produced by Jacob Jansz de Gheyn I (1527-1587), Jacob de Gheyn II (1565-1629), Jacob de Gheyn III (1596-1641). All 117 illustrations and the title plate of the Wapenhandelinghe (The Hague 1607) are reproduced (nos. 340-457). The introduction is updated from Filedt Kok’s studies in Print Quarterly (volume 7, 1990, pp.248-281, 370-396). (28 cm), (6) 311 (1) pp., illustrations. Publisher’s cloth, printed dust jacket. (28 cm), lxxxi (1), 198 pp., illustrations. Publisher’s cloth, printed dust jacket. - Catalogue of “Old Testament” prints (nos. 1-139) produced by Philip Galle (1537-1612). (28 cm), (6) 274 pp., illustrations. Publisher’s cloth, printed dust jacket. - Catalogue of “New Testament” prints (nos. 139-221); Subjects of devotion (nos. 222-229); Other religious subjects (nos.230-272); Moral and profane allegories (nos.273-315). (28 cm), (6) 299 (1) pp., illustrations. Publisher’s cloth, printed dust jacket. Catalogue of Moral and profane allegories, continued (nos. 316-393), Mythology (nos. 394-477), Ancient and modern history (nos. 478-504), Anatomy (nos. 505-517), Animals (nos. 518-562). (28 cm), (6) 266 pp., illustrations. Publisher’s cloth, printed dust jacket. Catalogue of Portrait prints (nos. 563-725), thre “Prints not traced” (p.243), “Rejected prints” (R.1-R.25). (28 cm), (6) 194 pp., illustrations. “Explanatory note to the Catalogue” (iv pp.) loosely inserted. Publisher’s cloth, printed dust jacket. - Parts I-III (only) of a nine-volume catalogue of prints produced by Anthony van Dyck (1599-1641). Parts I-II are concerned with Van Dyck’s portrait etchings and so-called Iconography portraits (1645 edition published by Gillis Hendricx); Part III with the portraits published by Joannes Meyssens and others. The subsequent Parts IV-VIII document the large corpus of reproductive prints after Van Dyck’s designs; the ninth volume is a “Guide to the catalogue”. (28 cm), (6) 200 pp., illustrations. Publisher’s cloth, printed dust jacket. (28 cm), (6) 212 pp., illustrations. Publisher’s cloth, printed dust jacket.